We believe that every person is sacred and that there is an interdependent web of all existence. It is our duty as people of good conscience to recognize injustice and to confront it and to observe the pain in the world and to do what we can to relieve it. 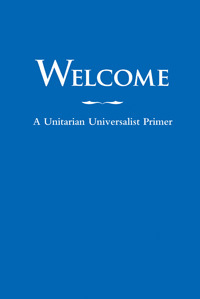 Unitarians were a driving force in the pre-Civil War movement for the abolition of slavery and Unitarian Universalists continue to raise their voices for the oppressed and marginalized. That involvement can take many forms. The rainbow flag that is displayed outside our Meeting House on Sunday mornings designates us as a Welcoming Congregation. 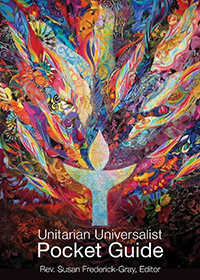 Unitarian Universalists were leaders in the movement to recognize the rights and dignity of members of the LGBTQ community and UU ministers performed many of the first marriages between members of this community. First Parish in Cohasset was one of the founding churches of the Unitarian Universalist Urban Ministry. For nearly 200 years the UU Urban Ministry has been working side by side with individuals and communities in Boston to create opportunities and instill hope for a brighter future. The Urban Ministry provides education and enrichment programs for children, youth and adults, shelter and services to domestic violence survivors and much more. First Parish participates with several other Cohasset churches and the Cohasset Diversity Committee as a rotating host for the annual Martin Luther King Breakfast. In 2018 First Parish served as host to the breakfast where almost 100 people gathered to honor Doctor King and to hear a presentation by Chaplain Clementina (Tina) Chery, founder of the Louis D. Brown Peace Institute. Chaplain Chery’s son was a murder victim, and she created the Peace Institute to help other families cope with the crushing trauma of losing someone to violence. Members of First Parish participate in the annual Mother’s Day Walk for Peace. Started in 1996, the walk benefits the Louis D Brown Peace Institute and in 2018 raised $350,000 in support of its programs.